Meet “Barney”, my 1967 Beetle. Yes, he’s named in honor of the lovable character played by the late Don Knotts, from the Andy Griffith Show, of which I am a huge fan. My love affair with the “Bug” did not develop like it has for many. 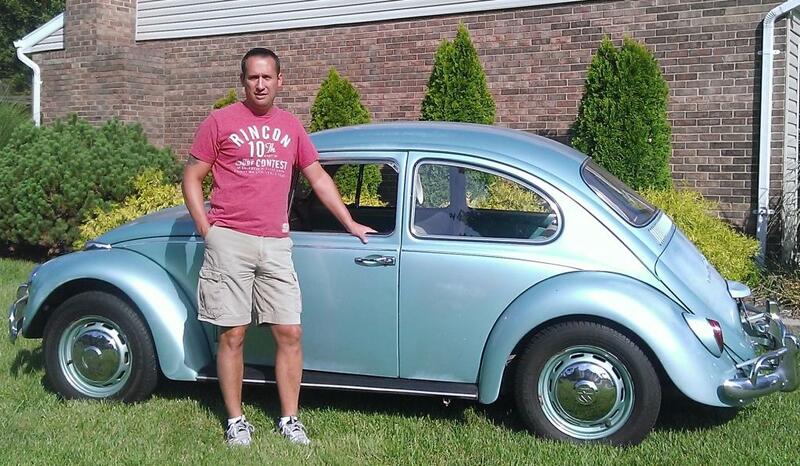 The only person I can remember owning a Bug when I was growing up in the early-to-mid ’70s is my step-father. I cannot tell you what year it was, but I remember his tinkering with it quite often. He even “rigged” some heat for those cold Cincinnati winters and he even fabricated his own bumpers for it. Back then, I thought that this was pretty cool. 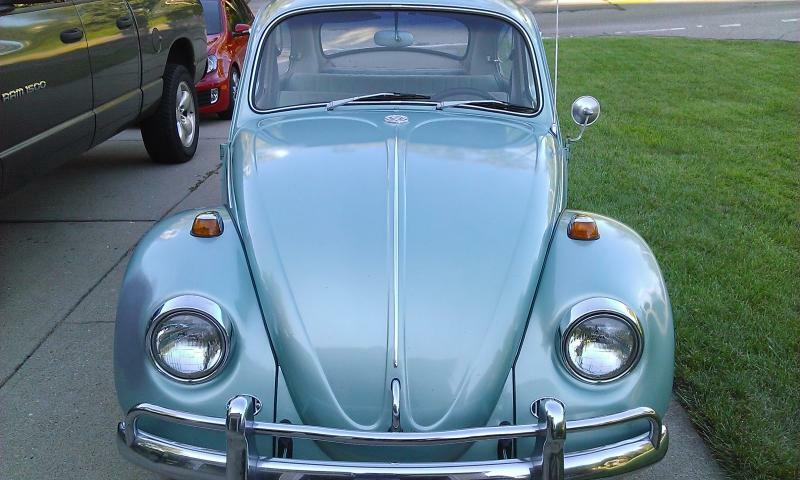 I also remember my uncle painting the Bug a dark blue color, although it was not a stock VW color, to my knowledge. Fast-forward about 30 years to just a couple of years ago. Until that time, I never had given serious thought to owning a “Bug”. As I grew more interested in getting into the classic car hobby, I knew that I would have to choose a car that wouldn’t break the bank, or constantly get me “the look” from the wife, which every man has experienced at one time or another, I’m sure. Anyway, I decided that the car which fit that description for me was a vintage VW Beetle. I didn’t know what year I really wanted though–only that it had to be a ’67 or older model. I ultimately decided that I wanted to own a ’65, as that was the year I was born, or a ’67, for all the reasons those who visit 1967Beetle.com already know. With my decision narrowed to a couple of model years, I set out to read as much as I could about the history of these little cars. As a result, I have a much greater appreciation for them, especially when I consider the origins of the car and the fact that WWII nearly prevented its production altogether. 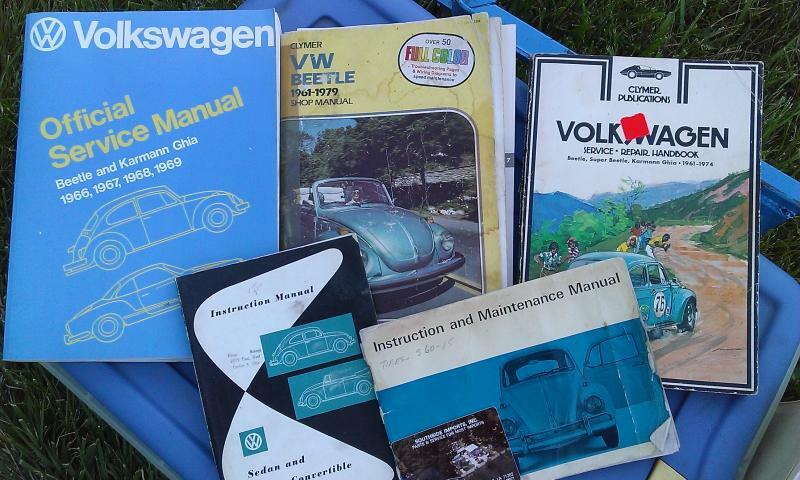 I highly encourage any VW owner to read the history of these cars, if you haven’t done so already. It’s quite interesting. 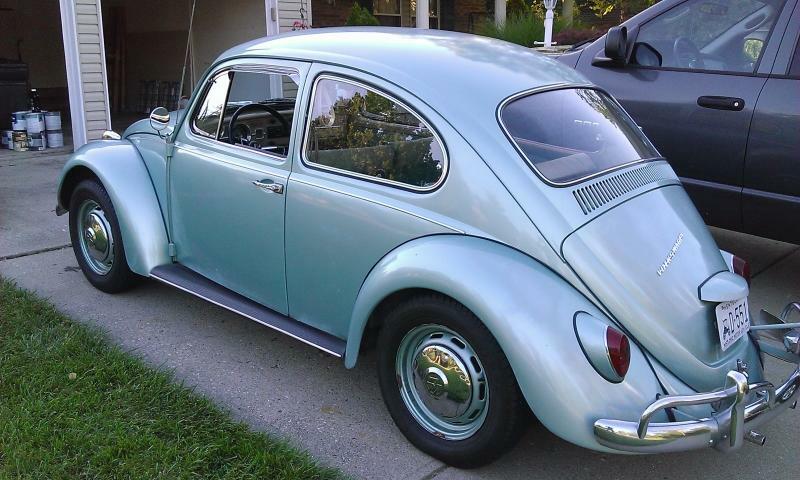 Getting back to my story…about a year and a half ago (my wife says it’s been more like three years, as she gives me the aforementioned “look”), I started “bugging” my wife (pun intended) about getting a vintage VW Beetle. With that, I began surfing the internet and came across two websites: Eric Shoemaker’s, 1967Beetle.com and Chris Vallone’s, Classicvwbugs.com. Little did I know just how much of an influence those two sites would have in developing my love for these awesome little cars. The more I read the content on their sites, the more excited I became about owning a “Bug”….much to my wife’s chagrin. Eric and Chris really motivated me. 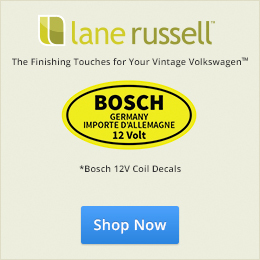 It didn’t take long for me to learn what to look for when buying a vintage Beetle and ultimately, what restoring one would entail down the road. They also made me realize how important it was to be patient and not to settle for just any VW. This was a real challenge for me. I searched for a long time, tracking every old Bug on eBay and Craigslist, while waiting for that “special one”. You know, the one that speaks to you (and hopefully to your wife) when you find it. Well, several weeks ago, while checking Craigslist, I finally found the one meant for me. As luck would have it, it turned out to be a ’67. And if that wasn’t enough good fortune, it was only a half-hour’s drive from my home. I knew, when I saw it in the ad, that it could be “the one”. I showed my wife, and much to my surprise, I didn’t get the wrinkled brow that I was so used to seeing. In fact, she didn’t balk whatsoever when I told her that I had arranged to go to see the car several days later. A very good sign. When that day came, she even accompanied me…things were really looking up! To make this already long story short, I went to see the car and was pleasantly surprised at how solid it was. There was no rust to speak of and all of the one-year features unique to the ’67 were present, except for the oil bath air cleaner. 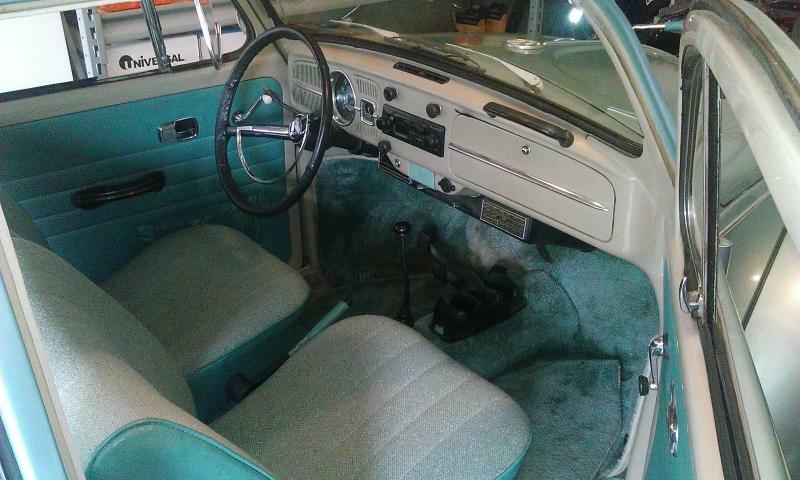 The car came with the original window sticker and even had dealer-installed air conditioning, although it is missing the belt that powers it. As far as drawbacks go, there are several. It was in need of some pretty significant brake work. I have had the brakes repaired already. It’s currently painted some sort of Ford color that resembles Zenith Blue, but the car originally was L620 Savannah Beige, like Eric’s ’67. The engine was replaced in late 2004, and does not have the original serial number. All-in-all, it’s a great foundation on which to start a full-blown restoration. I plan to do as much on my own as I can. As I do so, I hope to use 1967Beetle.com and the knowledge and advice of fellow enthusiasts to make this a project which I will enjoy thoroughly. Many thanks to Eric for a great site and for creating a place for all of us, and our “Small Wonders”, to call home. 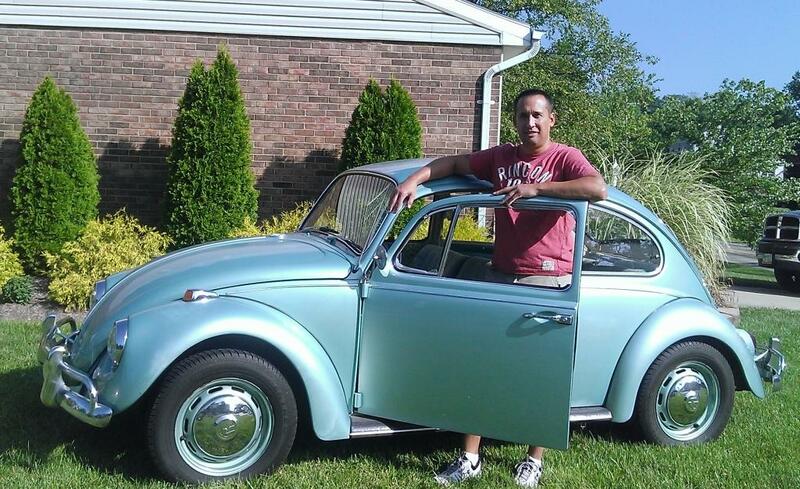 Thanks, Darryl, for sharing your ’67 with 1967beetle.com. Love the part how these cars “speak” to you………………it’s true. Also love the part about the wife ! Really nice story :) I like it. Darryl, very cool!!! Thanks for sharing your story with us. Can’t wait to see it and maybe get to take a ride with you and the girls. What a great retirement project! Love it! Be ready for a great adventure. Be patient and stay away from after market whenever possible. Used original parts will save you regret and you will have a “better” bug to enjoy.